A few days ago, Jimmy Carter offered to travel to North Korea to help defuse the latest nuclear crisis. The 93-year-old former US President has helped alleviate similar crises in the Korean peninsula in the past. It’s brave of him to offer to go into the “tiger-haunted mountains” – as we’d say in Chinese – to wrestle with this thorny problem. For Carter, this wouldn’t be his first rodeo. He has been to the country three times and never came home empty-handed. 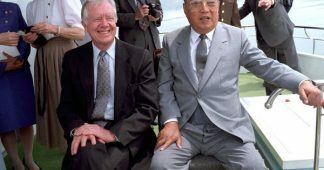 In June 1994, when the first North Korean nuclear crisis broke out, Carter went to Pyongyang to meet Kim Il-sung and reached an understanding with him. 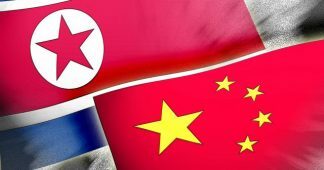 In October that year, the Democratic People’s Republic of Korea and the United States signed a framework agreement on the North Korean nuclear issue in Geneva. 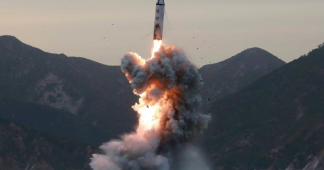 Under the agreement, Pyongyang would freeze its nuclear facilities. In return, Washington promised to build two light-water reactors for the DPRK and provide 500,000 tons of heavy oil each year for 10 years. During his visit, Carter also worked towards a summit meeting between Kim Il-sung and South Korean president Kim Young-sam. Regrettably the planned meeting fell through as the North Korean leader died soon after. Carter’s second trip to North Korea in August 2010 brought home an American citizen who had been detained there for seven months. The 31-year-old Aijalon Gomes had been teaching English in a primary school in South Korea. He was arrested when entering the North in January 2010 and was sentenced to eight years of “reform through labor” and a fine of $700,000 for “illegal entry” and “being hostile to the Korean nation.” The US government had asked Pyongyang to pardon Gomes and even sent a four-member team into the country to seek his release, but all these efforts failed. The former US president is said to be making preparation for his fourth Pyongyang visit. This trip will be a daunting one, for times have changed. 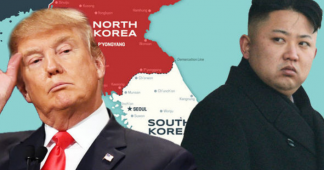 When he first visited North Korea in 1994, the US was led by President Bill Clinton, whose approach to denuclearizing the peninsula was to entice the Kim regime with a carrot rather than coerce it with stick. As the country’s nuclear tests were still in early stages, a big enough carrot could persuade Pyongyang to discontinue the tests. President Trump, however, has obviously taken a different approach. Trump thinks that any agreement with Pyongyang would be a waste of time and money, arguing that America has already spent billions on North Korea but gained nothing. “There’s only one thing that can settle the problem,” he said. That “one thing” has been interpreted as the use of force. 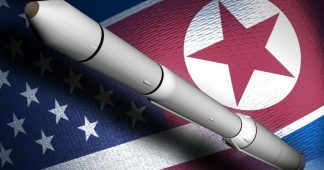 North Korea, for its part, is accelerating the development of nuclear weapons and believes it already has one foot inside the nuclear powers club. It will be very difficult to urge the country to stop or turn back. This makes a mediation by Carter all the more important. It is time for both countries to try a new negotiating approach. Carter is undoubtedly the right person for the job. Carter can use his status as an “old friend” to explain to Pyongyang where its interests lie. He can tell the North Korean leaders that possession of nuclear weapons will do them more harm than good. 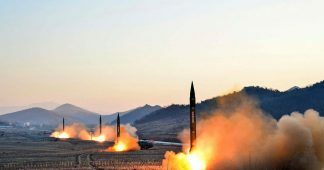 The country’s obstinate commitment to nuclear tests has incurred UN sanctions and isolated it from the international community, which has caused great suffering to its people. Even if it acquires a full arsenal of nuclear weapons, it would only aggravate sanctions and its isolation. Its people will have to “beg for food with a nuclear bowl.” Obviously the possession of nuclear weapons will only jeopardize the country’s security and international standing. With regard to the US government, Carter should use his status as a former president to dissuade Trump from waging war on North Korea, for a war would cost hundreds of thousands of lives. In an op-ed in the Washington Post on October 5, Carter recognized that none of the proposals so far have solved the crisis because the Kim regime believes it is under existential threat, and its top priority is to stay in power. Carter wrote that during his previous visits to the country, his hosts expressed the wish for direct talks with the US to reach a peace treaty that would safeguard it from military strikes and normalize its relations with the international community. Carter suggested that the US send a high-ranking delegation to hold talks with DPRK officials at a venue acceptable to both sides. Carter is well-versed in the art of diplomacy and has a reputation for cracking hard nuts. Hopefully President Trump will take him up on his offer.